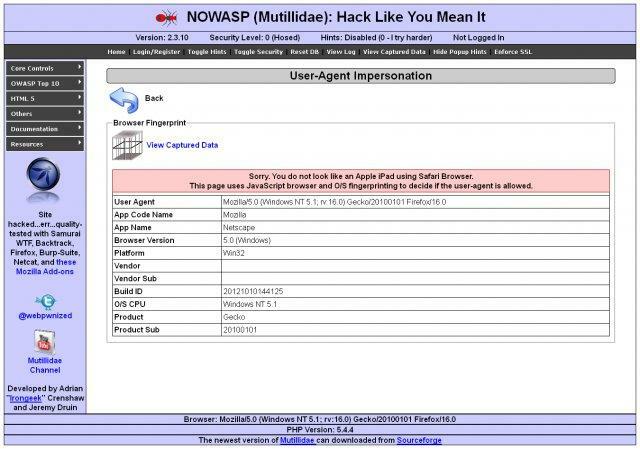 Browse: Home / NOWASP Mutillidae II 2.6.30 released : OWASP Mutillidae II Web Pen-Test Practice Application. 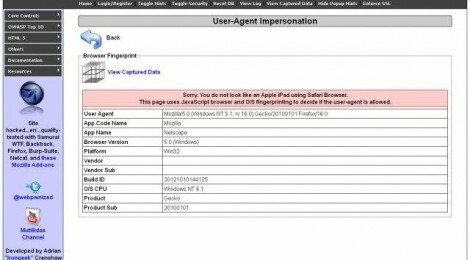 + BUG FIX: Patched Local File Inclusion vunerability in Level 5 – Secure discovered by Josh Mitchell. Added a more restricted regular expression to validate the page name. + Added more secret page names that will pull up the phpinfo.php page if a user fuzzes one of the secret page name values into the index.php PAGE parameter. The values are filenames from the FuzzDB. The file is from SkipFish. The file can be found on GitHub at fuzzdb/discovery/predictable-filepaths/filename-dirname-bruteforce/WordlistSkipfish.fuzz.txt. This will make it easier for instructors to do demos and students to successfully fuzz. ← Flashlight v1.0 released – Automated Information Gathering Tool for Penetration Testers.